Shail means mountain peak. When the energy is at its peak only then can you identify and recognize pure consciousness and the Blissful Form of the Goddess. This Devi is thus, also known as, the Daughter of the Mountain. The Moon, who is known, as the provider of all fortunes is governed by Maa Shaiputri. Thus, any bad effects of the Moon can be overcome by worshipping this Goddess. 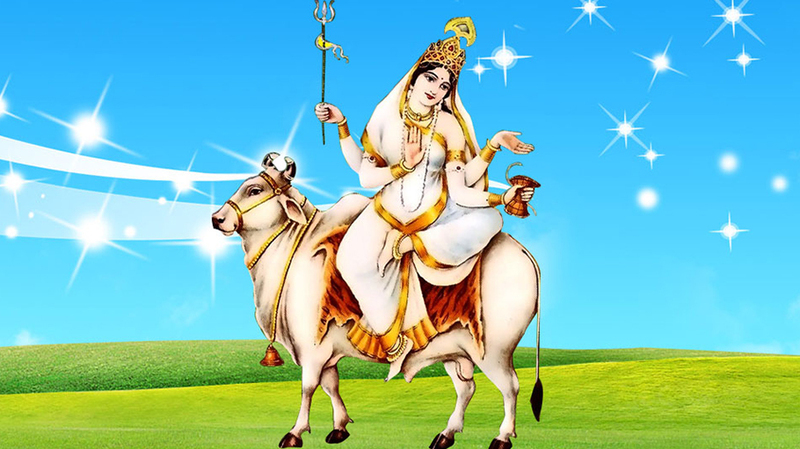 She is also known as Hemavati and Parvati and is known to be married to Lord Shiva. Lord Mangal, the provider of all fortunes, is governed by this Goddess. Maa Brahmacharini is usually depicted as walking bare foot. She typically carries a Jap Mala in her right hand and a Kamandal in her left hand. 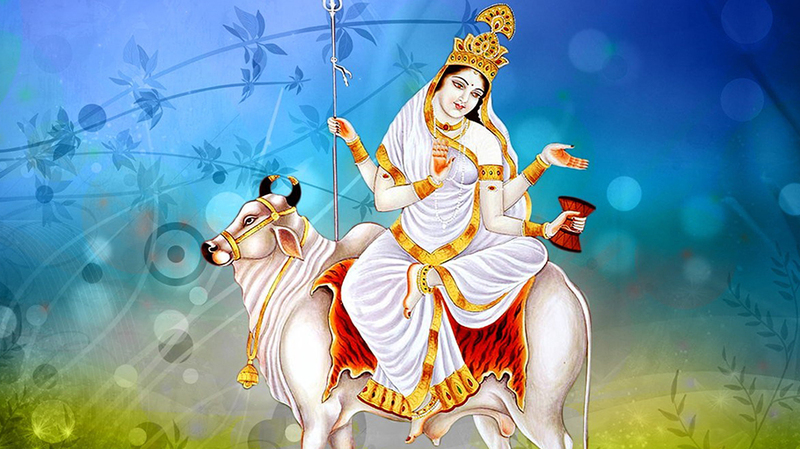 This Goddess is known to undergo severe penance to get Lord Shiva as her husband. She spent 1000 years on a diet of fruits and flowers and the next 1000 years on a diet of leafy vegetable along with sleeping on the floor during harsh weather conditions to get her beloved husband in the form of Lord Shiva. The planet Shukra is governed by this Goddess. This Maa has a tigress as her vahan. She adorns a semi-circular moon (Chandra) on her forehead. This half-moon resembles a bell (Ghanta), thus she is called Chadraghanta. She is depicted with ten hands. The four left hands carry a Trishul, Gada, Sword, and Kamandal. The fifth left hand is in Varada Mudra. The four right hands carry a Lotus Flower, Arrow, Dhanush, and Japa Mala with the fifth right hand in Abhaya Mudra. It is believed that this Goddess gives direction and energy to the Sun. Thus, She is known to govern the Sun. This Goddess rides a lioness. She is depicted with eight hands. She carries a Kamandal, Dhanush, Bada, and a Lotus Flower in her right hands and an Amrit Kalash, Jap Mala, Gada, and Chakra in her left hands. 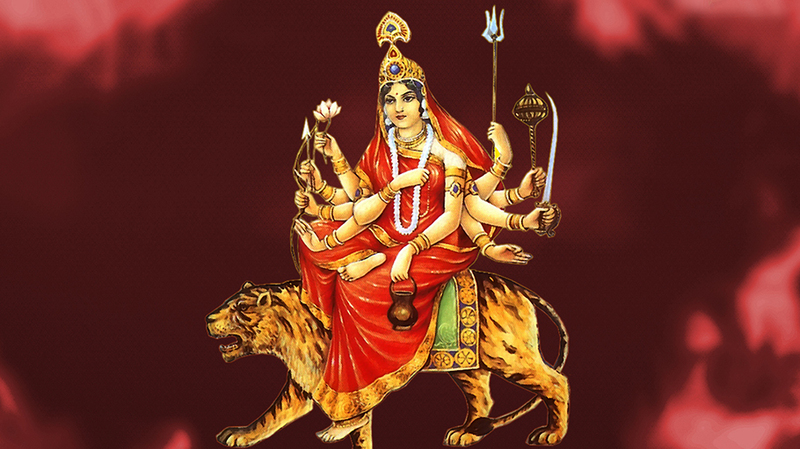 Since she has eight hands, she is also lovingly addressed as Ashtabhuja Devi. It is believed that she created the whole universe by just flashing a slight smile. The planet Buddha is governed by this Goddess. This Goddess sits on a powerful lion. She is depicted carrying Baby Murugan in her lap. Lord Murugan is also known as Lord Kartikeya who is the elder son of Lord Shiva and Goddess Parvati. This Goddess is depicted with four hands. She carries Lotus Flowers in her upper two hands. Baby Murugan is in one of her right hands and the other right hand is in Abhaya Mudra. Since she sits on a lotus flower, she is also called Goddess Padmasana. 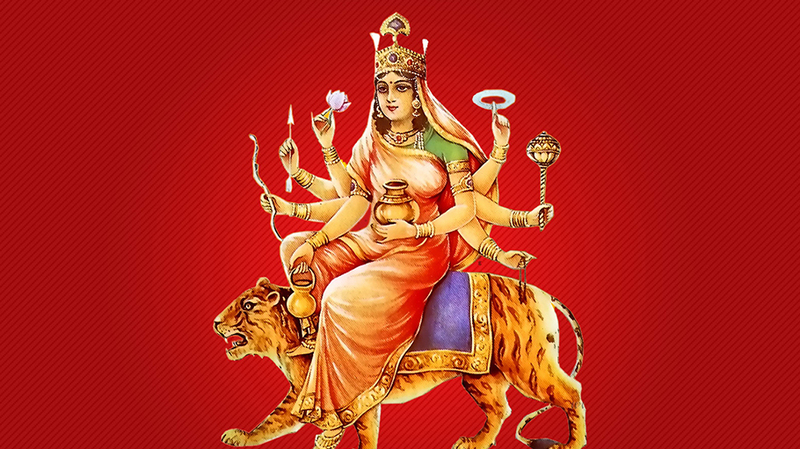 The planet Brihaspati is governed by this Goddess. This Devi rides a veracious and magnificent lion and is depicted with four hands. She carries a Lotus Flower and Sword in her left hands and keeps her right hands in Abhaya and Varada Mudra. 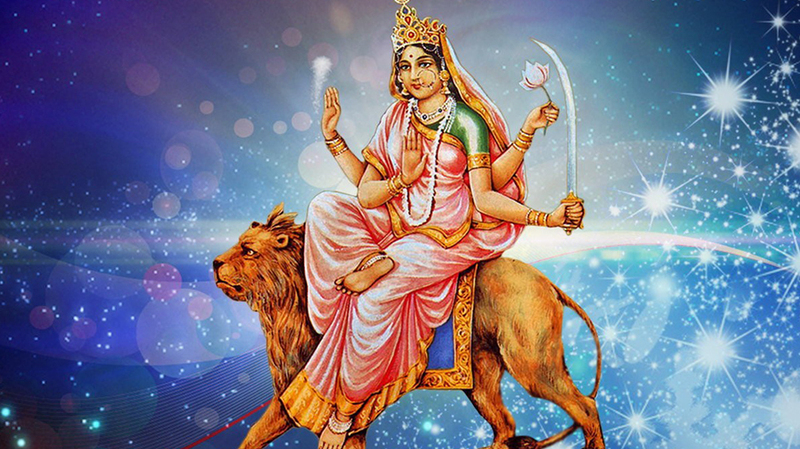 According to many religious sects, she was born in the home of sage Katya hence she is called Maa Katyayani. 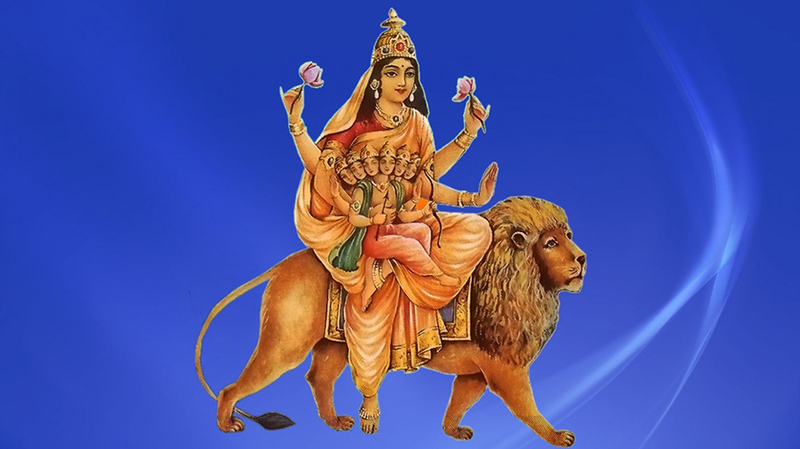 This Maa is the fiercest and most angry form of Goddess Parvati. Lord Shani is governed by this Goddess. It is believed that when Goddess Parvati removed her outer golden skin to kill the demons Shumbha and Nishumbha, she took this Goddess’s form. This Mata has a dark complexion and rides a donkey. She is depicted by four hands. 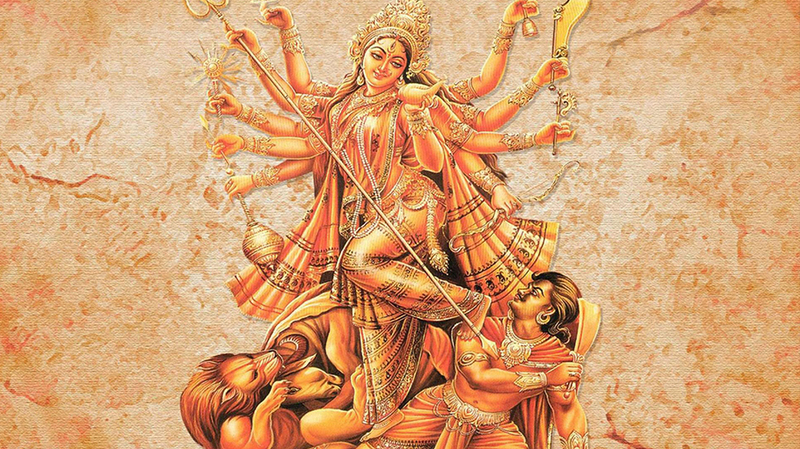 Her right hands are in Abhaya and Varada Mudra and she is known to carry a Sword and ferocious Iron Hook in her left hands. The planet Rahu is governed by this Goddess. Riding a bull, this beautiful Goddess is depicted by four hands. One of her right hands carries a Trishul and the other right hand is in Abhaya Mudra. One of the left hands adorns a Damaru and the other left hand is in Varada Mudra. 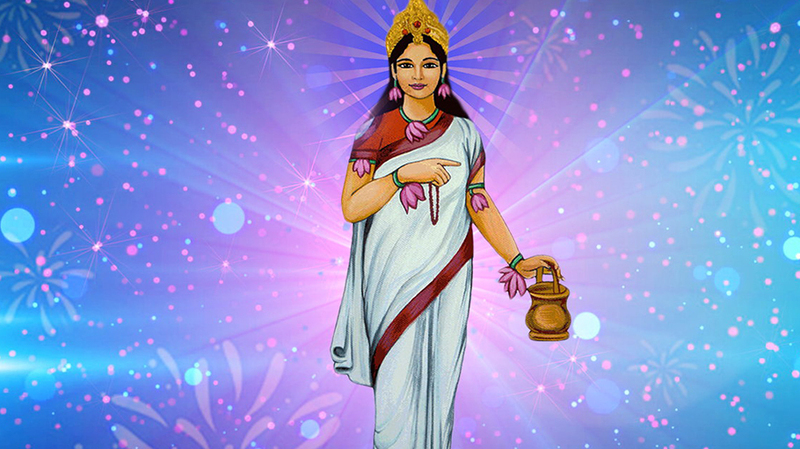 This Goddess is extremely beautiful and adorns white clothes, thus she is also called Shwetambardhara. 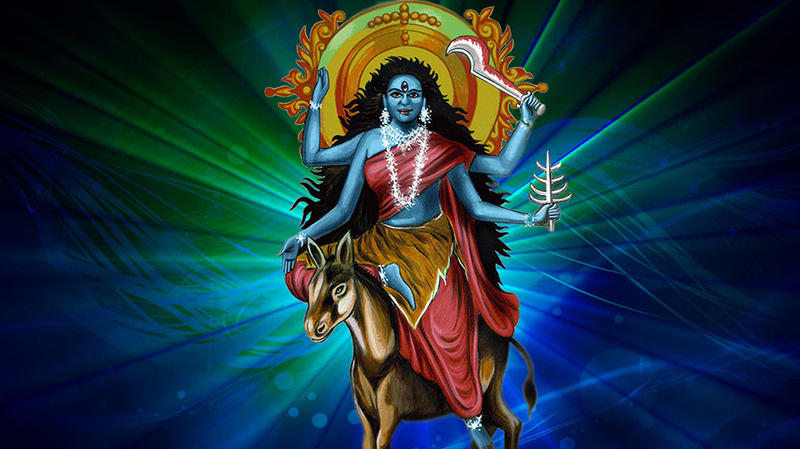 This Goddess provides direction and energy to Lord Ketu, thus He is governed by her. This beautiful Goddess sits on a lotus and rides a lion. She is depicted with four hands. The right hands hold a Gada and Chakra and the left hands hold a Lotus Flower and a Shankh (Shell). 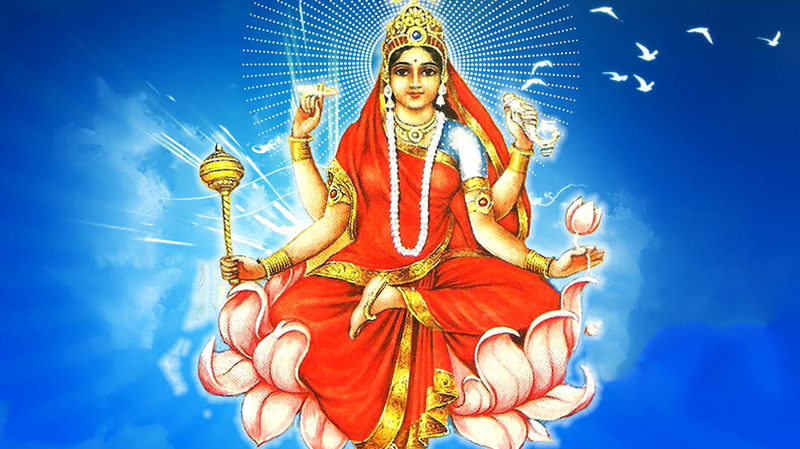 This kind Goddess is known to bestow all types of Siddhis to her devotees, thus she is called Maa Siddhidatri. In fact, Lord Shiva also got all His Siddhis from Her.